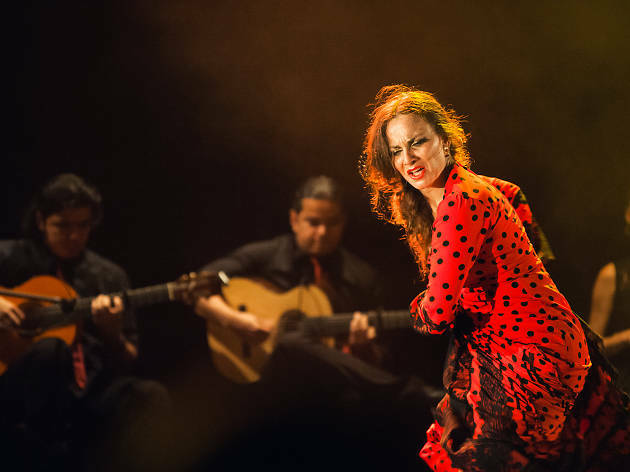 The third edition of this flamenco festival put on by the Madrid City Hall brings in a selection of the best singers, dancers and musicians, combining emerging artists with established names, making it a can't-miss event under the artistic direction of Ángel Rojas. In addition to conferences, master classes and tributes (they'll be celebrating the 100th anniversary of the birth of Mariemma), the Spanish dancing choreography contest will also be on. And the big draws are performances by Carmen La Talegona, Pastora Galván, Maite Martín, Eva Yerbabuena, Guadalupe Torres, Marco Flores, Rojas y Rodríguez, Daniel Doña, La Lupi, Antonio Canales, La Chana, Teresa Nieto directing Sara Cano, Antonio Rey, and Mónica Fernández. To sum up, it's the best of the current flamenco scene.